What beautiful memories Dawn. 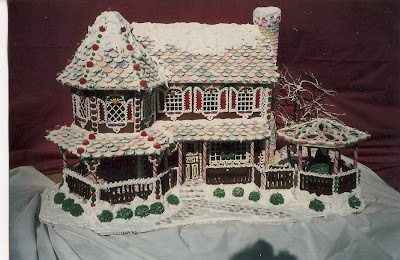 You know I have never made a gingerbread house. I remember visiting Colonial Williamsburg and gobbling down several gingerbread cookies! Do you have a photo of the mansion your Mom entered in the Good Housekeeping contest? It sounds fabulous. These are great photos of your children with their houses. Those gingerbread houses can certainly get ornate! Reminds me of the time my sister Margaret tried to eat a fake gingerbread tree ornament at a friend's house. The bite mark is probably there to this day! The momory is so vivid. The smell now remminds me of home. And no question, that gingerbread house was spectacular. I used to dread the smell, but love it now. NECCO wafers, yuck, except for the brown and yellow ones, now I would love any color. Running out of the fire staions and the nursing homes as quickly as we ran in to drop off a beautifully wrapped house. Your G looks D-lish! although I don't think I have ever eaten one-I thought they were just to look at. ha. Your story is amazing tho, I only ever made one, and it was from a kit. Great G and fab gingerbread houses! We too do gingerbread at our home...Patrick is the official gigerbread man. He cuts 'em out and bakes 'em & we ALL eat 'em. Happy Monday and Happy Thanksgiving dear lady. 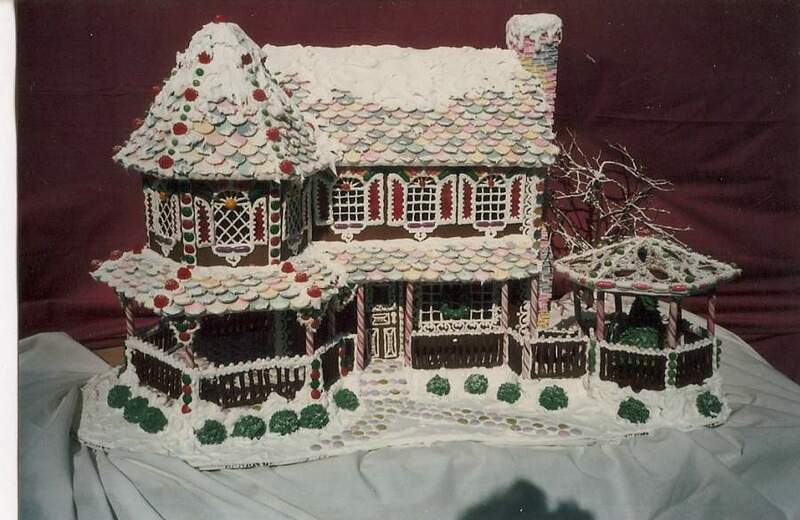 I think I'm inspired to make my first gingerbread house. What a beautiful piece of "Dawn" history. I love your Mom more and more every time you write a piece about her....She, along with you are making such great memories for those wonderful kids! Wow. What a neat story! I was rooting for your mom to win that Good Housekeeping cover! I am disappointed along with you guys! I have never made a gingerbread house, but I think we just might after reading this...what memories! My kids used to love to bake gingerbread men and decorate them. My daughter used to call them "cookie men". Have fun! And have a good Thanksgiving! I love the way you share your memories with us. I can smell the gingerbread now!!! oh my gosh! Absolutely beautiful!! How did she not win? Seriously? And that is a wonderful story. I love great family traditions... especially edible ones! You did eat them, right? They are almost too pretty to eat, though! Wow! 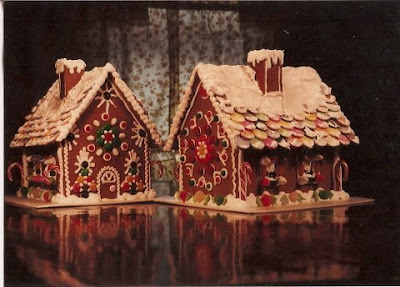 I have never made Gingerbread houses with my girls. That is a goal this year. I think that we would all love it! Thanks for the inspiration.